Ethiopia, the most recent country to enforce bans, used the excuse of student exams to block free services for the entire country, citing students becoming distracted at such an important time. In reality, there is evidence to suggest the Ethiopian government acted because some of the questions in the end-of-year exams were actually being posted online. It’s not only using education as a reason - violent anti-government protests led to the area of Oromia in the country having all social media banned. It’s clear that Ethiopia is following previous examples of free services bans in Africa. The Wifi ban was eventually lifted but the Data plan ban is still in force. What is clear is that the bans imposed upon VoIP services are becoming more frequent and more encompassing. Which begs the question - just who is next? Well, sadly, the list will go on. Ghana has already announced its intention to ban social media during the November election if it feels necessary. In Kenya, there is speculation that there will be blocks put upon social media sites; Kenyan security forces are constantly studying social media for possible “hate speech.” Other countries considering banning free services said to include South Africa, Algeria and Nigeria. Sadder still, there are only a few African countries that have legislation designed to protect the right of information access. Let us return to the issues within Ethiopia. The protests previously mentioned that occurred in the Omoria region had more than the effect of a 2-month social media ban. 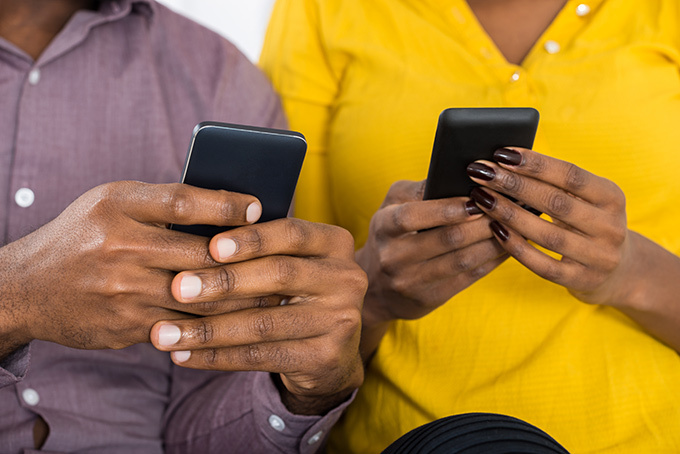 Around the time of this being introduced, Ethio Telecom (which monopolizes the telecoms market within the country) announced plans to actually start charging customers for using VoIP calls via Facebook messenger, Skype, Google hangouts and Viber. The proposed plans are said to enforce a new price scheme for “VoIP data usage” by regulating more heavily the types of apps used on subscribers’ devices and indeed the data plans themselves. Furthermore, they also announced they intended to identify and ban any mobile devices that were not purchased via the Ethiopian market, thus allowing them to strictly oversee data usage of every single subscriber on their network. A 2015 report by the Human Rights Watch highlighted exactly how the government of Ethiopia, since 2010, has restricted independent journalism within the country. Part of those restrictions involve the disruption of social media, including blogs and websites, particularly of the diaspora within Ethiopia. The latest social media ban, on the grounds of disrupting students during exam time, came after just 2 weeks of Ethiopia’s new membership of the United Nations Human Rights Council - an organization which condemns those states that block the internet access of its citizens. Families and friends want and need to stay in touch by phone, whether they are in the same country or across many international borders. For those within Ethiopia, or other countries affected by blocks placed upon social media and free services, we wish to assure you of our continued support and service, based upon over 20-years experience in providing low cost, high quality international calls.